Private, professional flight tracking used by thousands of aircraft owners and operators around the world. Available for flights across North America, Europe, Australia, New Zealand, Central America, as well as overflights of the North Atlantic and Pacific Oceans. FlightAware can integrate VHF or satellite datalink for aircraft serviced by ARINC, ARINCDirect, Garmin Connext, Honeywell GoDirect, Satcom Direct, SITA, Spidertracks and others. Real-time aircraft positions captured multiple times per minute for aircraft flying over land in over 185 countries. 100% global flight tracking with once-per-minute position updates, including coverage over oceans, deserts and the poles. Learn More About Our Data Sources and Coverage. Selective unblocking lets you maintain complete privacy while allowing friends, family, employees and business associates to track your aircrafts' movements. Fully control who sees flight information and positions. 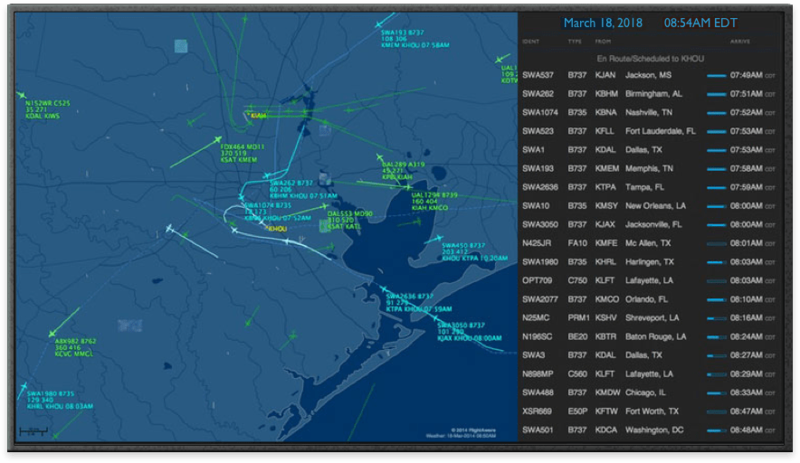 FlightAware Global's online, self-management interface makes it easy and convenient to delegate access, add/remove aircraft and configure flight alerts. You also have the option of allowing FBOs to track your aircraft when it is visiting their facility. Automatically receive alerts for your aircraft. Notifications of flight plans, route changes, delays, departures and arrivals. Sent via text message, email or mobile push alert. Business associates, pilots, employees, clients, passengers, family or anyone else can be advised of your aircraft's whereabouts. Be alerted as soon as the pilot powers aircraft on at its origin and as soon as it begins taxiing. Know that the crew has arrived and the airplane is being prepared for departure. Receive updates even before takeoff. 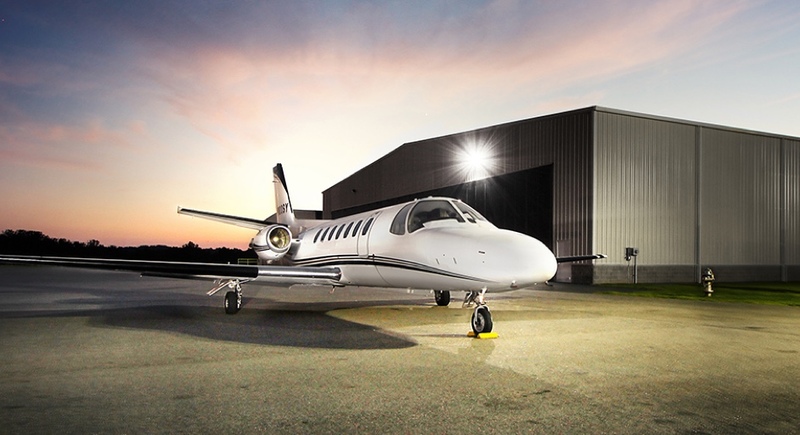 See which FBO an aircraft taxied to and when it arrived. Alerts sent via mobile push and email. The best solution for displaying worldwide, live flight tracking and weather imagery on your HDTV. Perfect for offices, hangars, and operations centers! Worldwide 4D turbulence and icing forecasts, worldwide satellite IR, lightning, and winds/temperatures aloft. High-resolution, current RADAR throughout Europe, Japan, Australia, Canada and the United States. Great for giving situational awareness to passengers, family and friends! 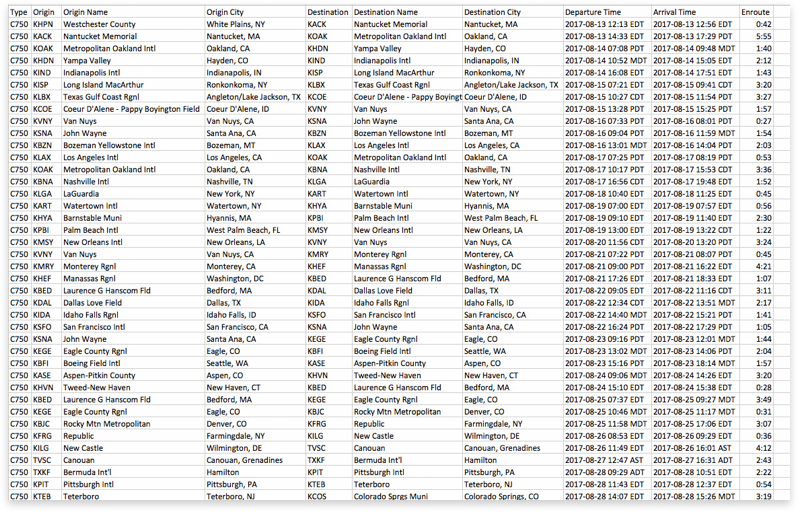 Detailed Excel file with data for all aircraft's flights. Choose between monthly or annual delivery. 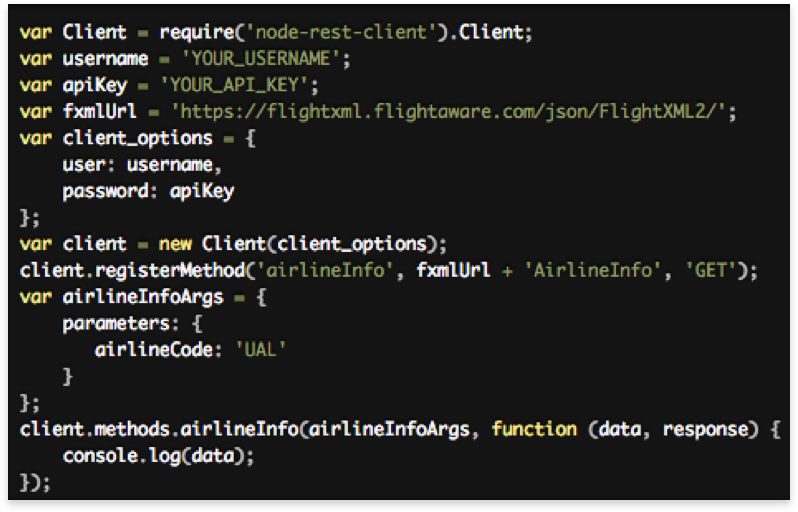 Software developers can integrate FlightAware Global data into custom applications, interfaces, and reporting systems with FlightAware's API. Blocking an aircraft prevents it from being publicly visible on sites like FlightAware. Blocking practices vary by country but typically require an owner/operator to either opt-in or out of the service. What's the difference between opt-in blocking and opt-out blocking? In some countries, like the United States, owners/operators must complete an application requesting their aircraft to be blocked from public tracking on sites like FlightAware (opt-out). Elsewhere, including Europe, non-commercial aircraft are automatically blocked. Owners/operators must complete an application requesting that their aircraft be unblocked (opt-in tracking). In Europe, opting-in enables non-commercial operators to track their own aircraft but flight data is never publicly disseminated. Owners/operators located in countries that require opt-out blocking (i.e. the United States) are unable to track their own aircraft once the opt-out process is complete. Owners/operators located in countries that require them to opt-in to tracking (i.e. countries in Europe) lose privacy since their aircraft becomes visible on public sites like FlightAware. Selective unblocking, offered through FlightAware Global, solves both opt-in and opt-out challenges by enabling owners and aircraft operators to track their aircraft while hiding it from public view. 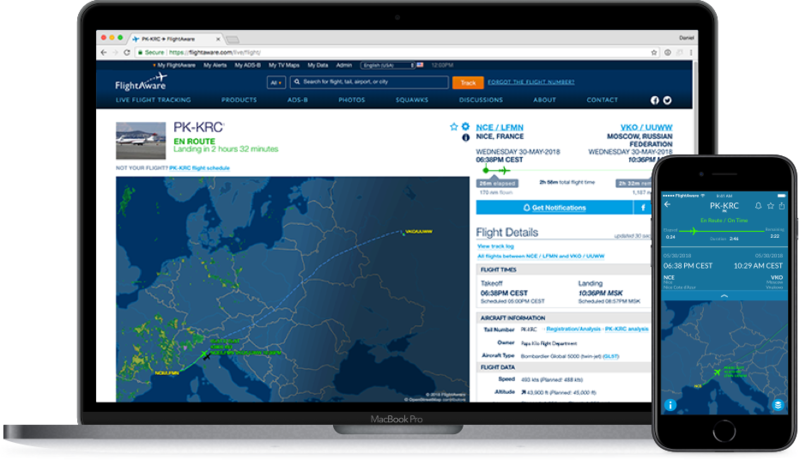 Is private flight tracking available in Europe? Yes. FlightAware Global is used by aircraft owners and operators around the world. In Europe, non-commercial aircraft are blocked from public tracking on sites like FlightAware by default. Owners/operators must opt-in to public tracking if they wish to track their aircraft. FlightAware Global makes it possible for them to do this and maintain privacy. 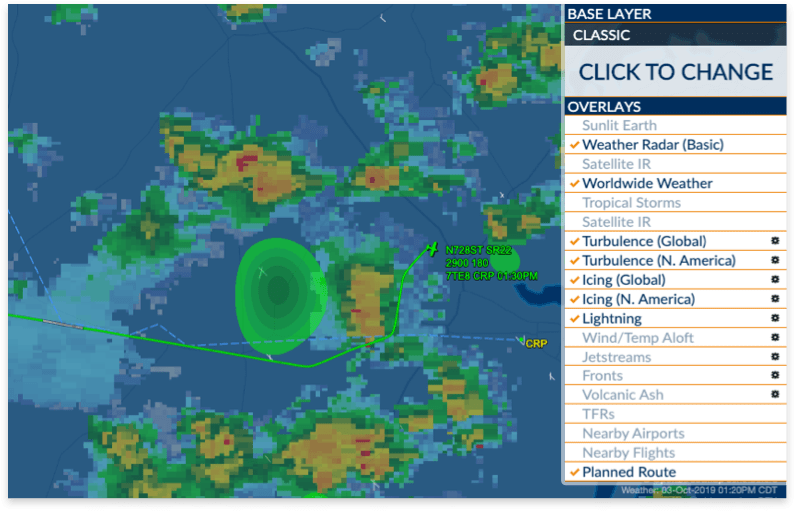 Who can use FlightAware Global to track blocked aircraft? Only an aircraft's owner/operator and the individuals they delegate access to may track it with a FlightAware Global account. Proof of ownership is required during the sign-up process. How do I track an aircraft that is not available for public tracking (blocked)? To track a blocked aircraft, you must be the owner or operator and it must be selectively unblocked through a FlightAware Global subscription. How do I block my aircraft? Subscribe to FlightAware Global and we'll make sure everything else is taken care of. We provide same-day blocking on FlightAware.com and facilitate the process to block your aircraft from public tracking on other services. You will continue to have secure access to track your aircraft through your FlightAware account and will be able to provision access to friends, loved ones and colleagues as needed. How many people can track my aircraft through a FlightAware Global account? That's up to you. We don't limit the number of users and the self-management interface makes it easy to add or remove users. If I add a user to my account, will they be able to track my entire fleet? That's up to you. 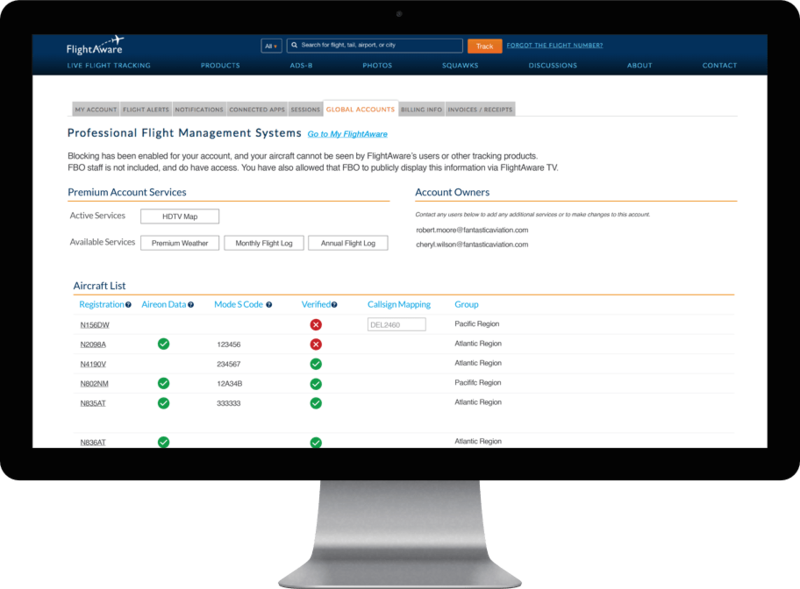 The self-management interface lets you group your aircraft and provision access based on the individual needs of each user. How do I remove users who should no longer be able to track my blocked aircraft? It's easy to add or remove users from your FlightAware Global account through the self-management interface. I have a subscription with a data link provider already. Why do I need FlightAware Global? If you block your aircraft, you may be unable to track it depending on your datalink provider. FlightAware Global solves this problem by integrating your datalink subscription free of charge. This enables you to privately track your blocked aircraft and enhances your datalink coverage by combining it with FlightAware's other sources, including ANSP flight plans and terrestrial ADS-B. It also provides a means by which you are able to share your datalink tracking with others, such as friends, family and colleagues. If I integrate my data link service, will it be publicly available on FlightAware.com? No. Only people you authorize through your FlightAware Global account will see your datalink positions. If you own or operate blocked aircraft, these will be entirely hidden from public view. Is there a way to allow FBOs to track my aircraft so they are prepared for my arrival? FlightAware Global gives you the option of sharing your flight information exclusively with FBOs without sharing it with the public. This allows FBOs to provide the highest level of service.